Born in Toronto, but now based in Nova Scotia, from the start of his career his songs have brought joy and illumination to independent minded people fighting the good fight of their lives. A much loved, live performer, his storytelling art, song craft and comic timing, engage and thrill an audience with his weirdly wordy ways. Stints of woodshedding in the Yukon, bicycle touring, transnational hitchhiking trips, and his incessant reading and listening, has ensured Luedecke has amassed a degree of unusual and usual experience for his authentic body of work. 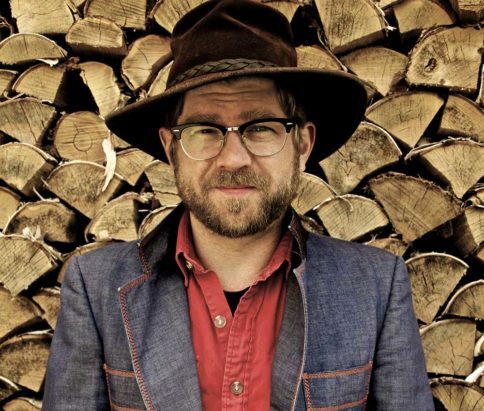 At his best solo on banjo and guitar, Old Man Luedecke has appeared at most major folk festivals in Canada, the US, UK and Australia and keeps up a steady touring life. He is also a long-time collaborator with Grammy winning American roots music legend Tim O’Brien. Luedecke is 4-time nominated and twice-winning JUNO award holder and East Coast Music Award winner for Album of the Year, has been long listed for the Polaris Prize, is a multiple Music Nova Scotia award recipient. Cover versions of his songs have been performed by everyone from street punks in Nashville to Celtic bands in the Orkney Islands. His new album Easy Money is out this summer.